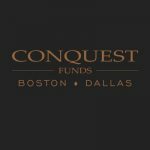 Conquest Funds specializes in providing hard money loans for builders, developers, and real estate professionals in the metro Boston and Dallas marketplace. It has 20 years of industry experience and has funded more than $300 million in real estate investment. Its rates start at 11% and can fund loans in as little as 72 hours. It can finance as much as 70% after repair value (ARV), 85% to 90% of purchase value, and 100% of land or construction costs. Conquest Funds is rated 5 stars on Facebook. Ready to get started with Conquest Funds? Apply now. *Exceptions may be granted. Lender information is updated often; however, exact lender terms may change. Work for Conquest Funds? Claim This Page.